From the Western scientific perspective stomachaches result from gastrointestinal disorders such as acute and chronic gastritis (from indigestible food combinations or amounts) and stomach and duodenal ulcers. The use of alcohol and aspirin (especially together) can clear the protective mucous layer of the stomach, causing ulceration and pain. 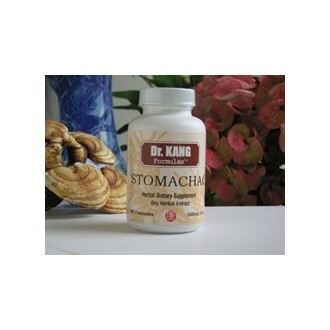 From the Traditional Chinese Medicine perspective, a wide range of etiologies can cause a stomachache. Among these are stagnation of Stomach Qi, lack of Yin nourishing or deficient Qi, improper diet or unbalanced food choices, mental stress (disharmony of gastric Qi), and depression or anxiety marked by stagnation of Stomach Qi (Hepatic Qi affects the stomach, and also hypo-activity of Yang in Middle Jiao). All result in stomachache. TCM Indication: Abdominal pain due to stomach Qi stagnation, heavy abdominal belching, regurgitation of acid, hiccup, anorexia, epigastric distension, and distress. This formula very effectively addresses the widest range of these causes and effectively relieves the pain and inflammation associated with stomachache. 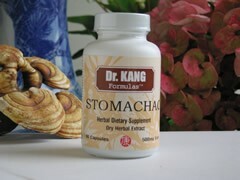 It also promotes the development of healthy flora in the GI tract. Modern acute care clinical research in China confirms that this formula effectively relieves stomach spasms, alleviates pain, promotes blood circulation, strengthens digestion and absorption, promotes the healing of ulcers, prevents vomiting, hiccuping, and regurgitation of acid. Caution: Do not use with atrophic ulcer.